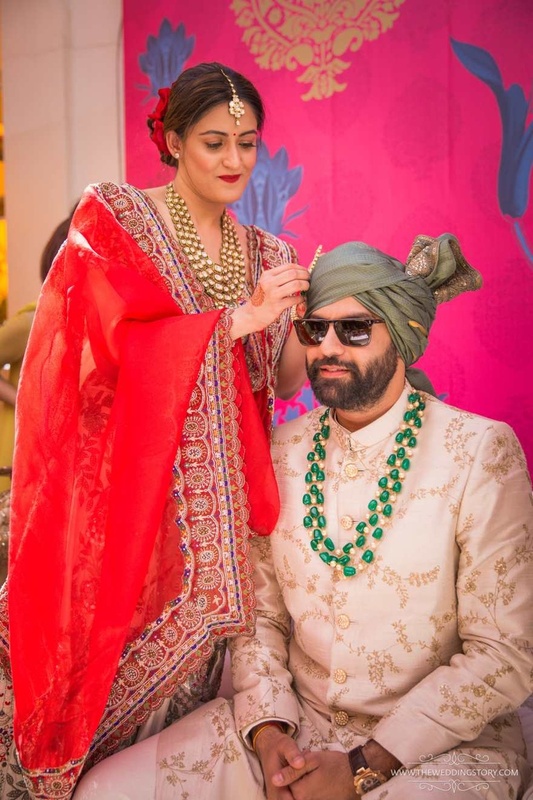 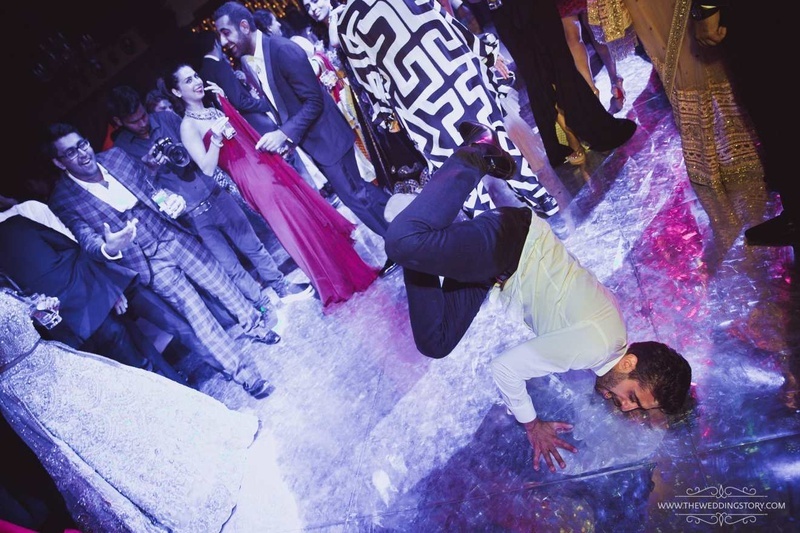 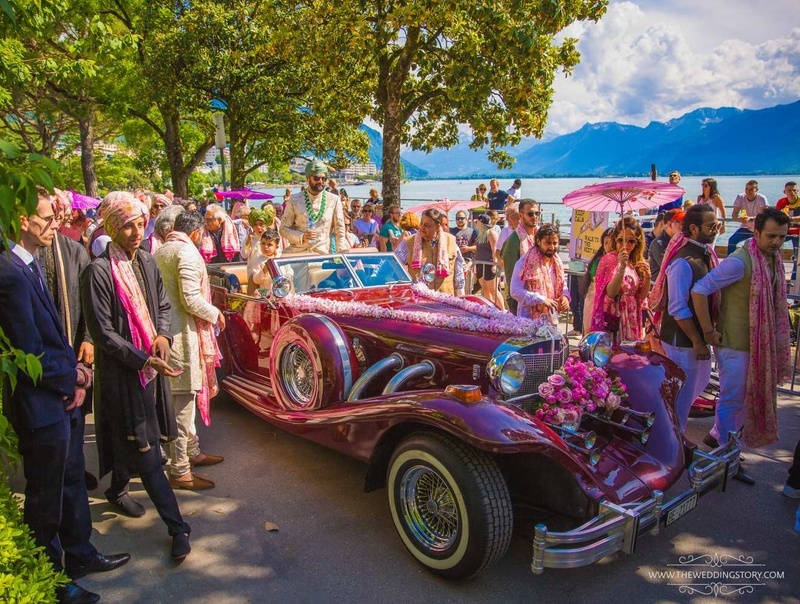 Tanya & Rajiv's big fat Indian wedding brought an entire town in France to a halt! 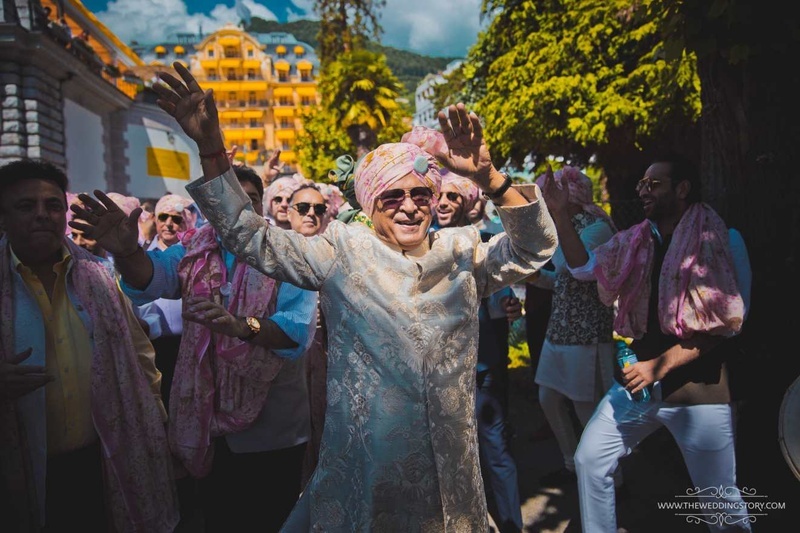 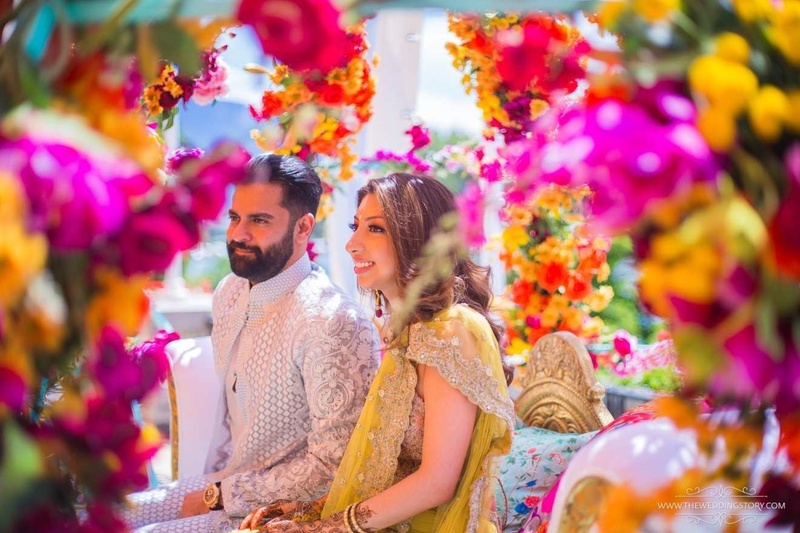 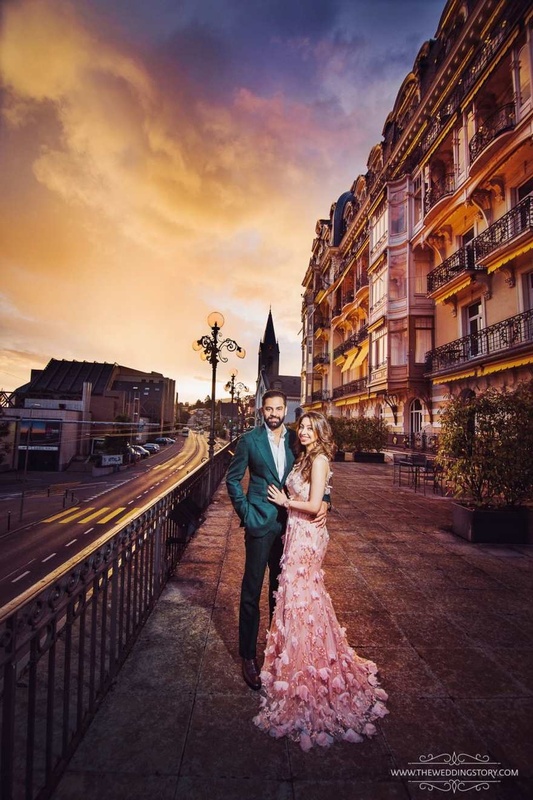 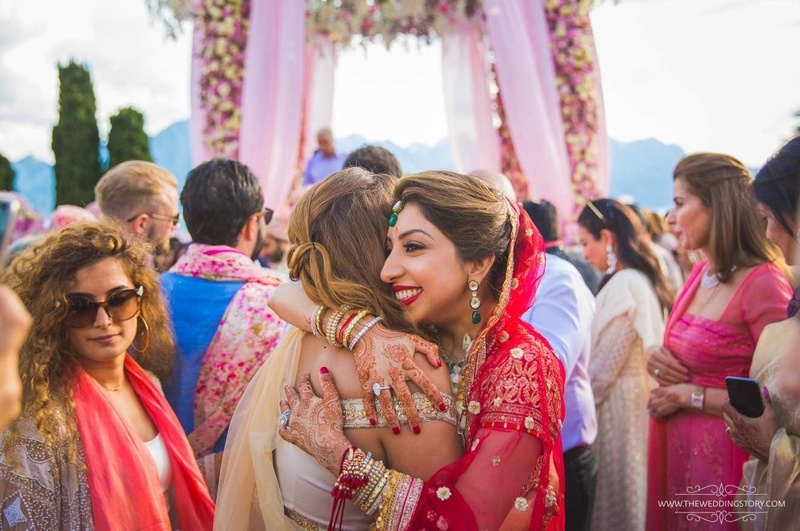 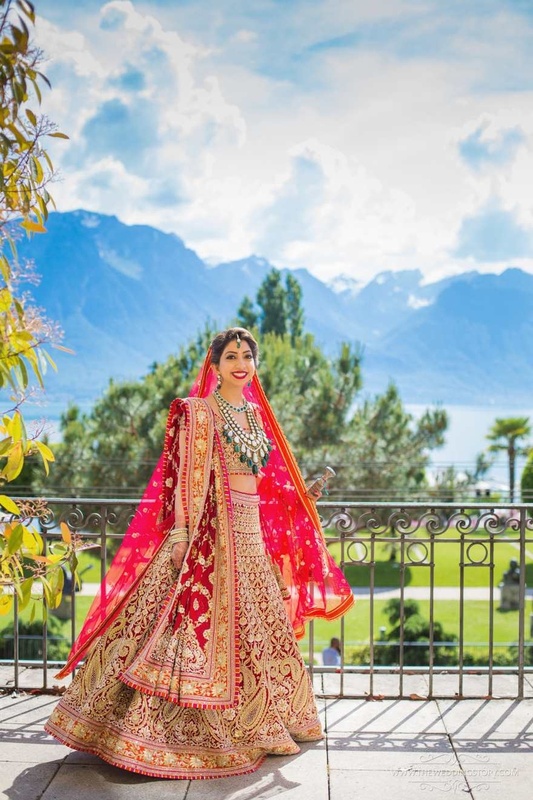 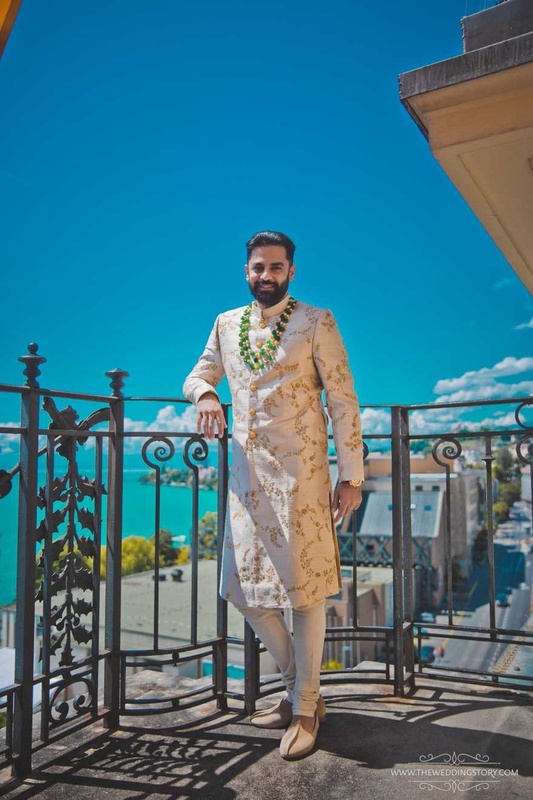 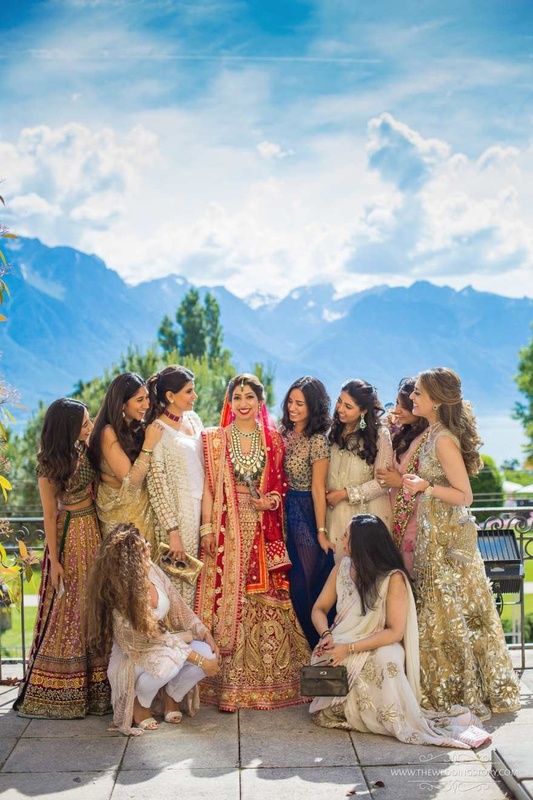 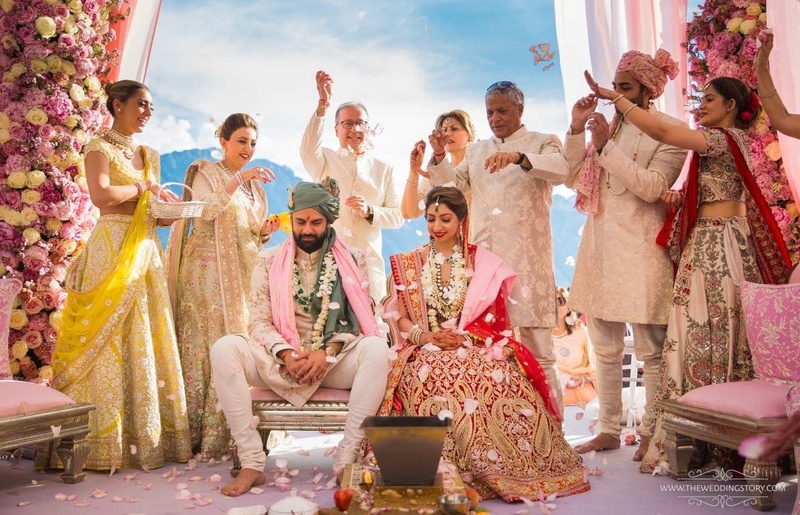 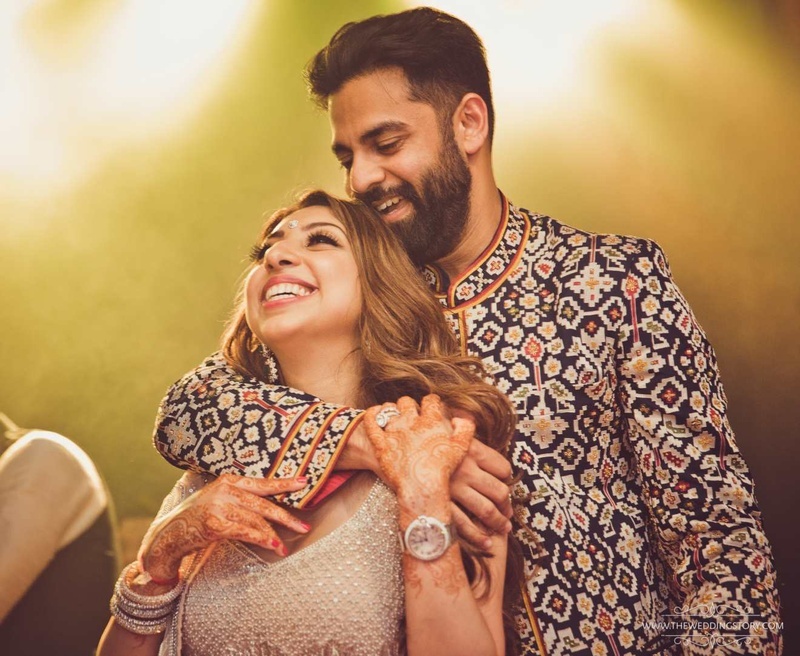 The charming Swiss town of Montreux almost shut down when the hashtag #TanysRaj gleamed all over in the sunshine as Tanya Ganwani tied the knot with London-based Rajiv Varma against the backdrop of the picturesque Swiss Alps. 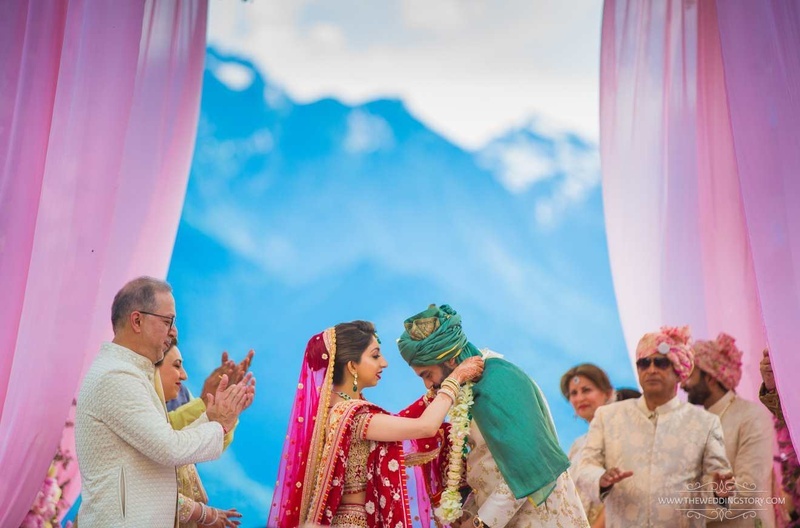 The couple tied the knot under the grace of the mountains, blesses by the clear skies and the mos beautiful flowers. 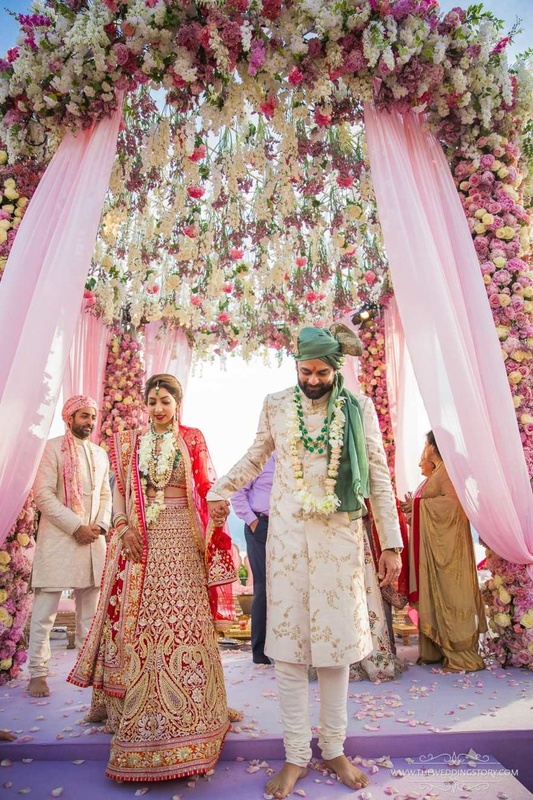 In what has become a unique and creative wedding, we noted the coolest floral decor trends, bridal lehenga trends and makeup trends! 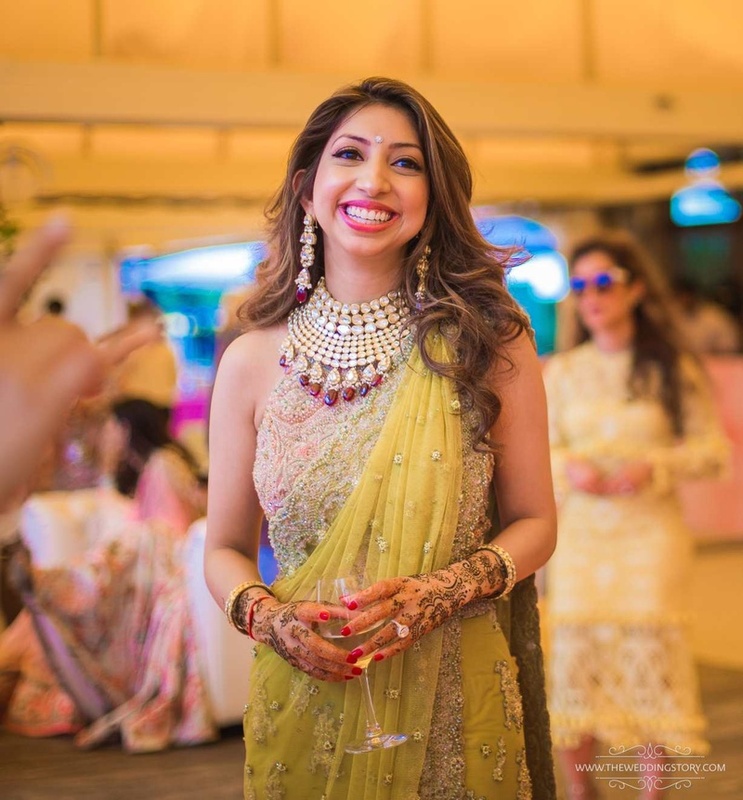 Tanya (Founder and CEO of Burn Activewear) is the daughter of real-estate Mogul Monica & Jayant Ganwani and lives between Dubai and London. 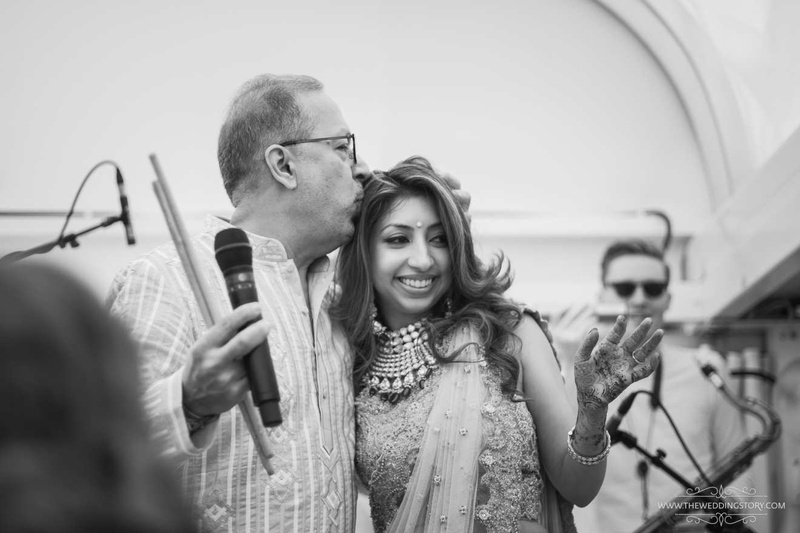 Rajiv’s parents, Shobha & Moni Varma are the owners of Veetee Foods, one of the largest rice companies in the UK. 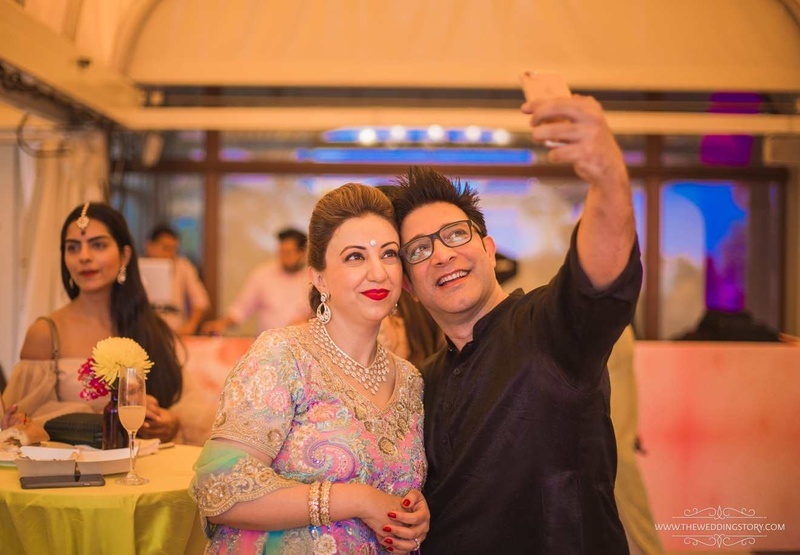 The guest list included Sandeep and Namto Chaddha, Rita and Sunil Vaswani, Pernia Qureshi, Kanika and Rishi Sanger, Sherina Dalamal and Kajal Fabiani. 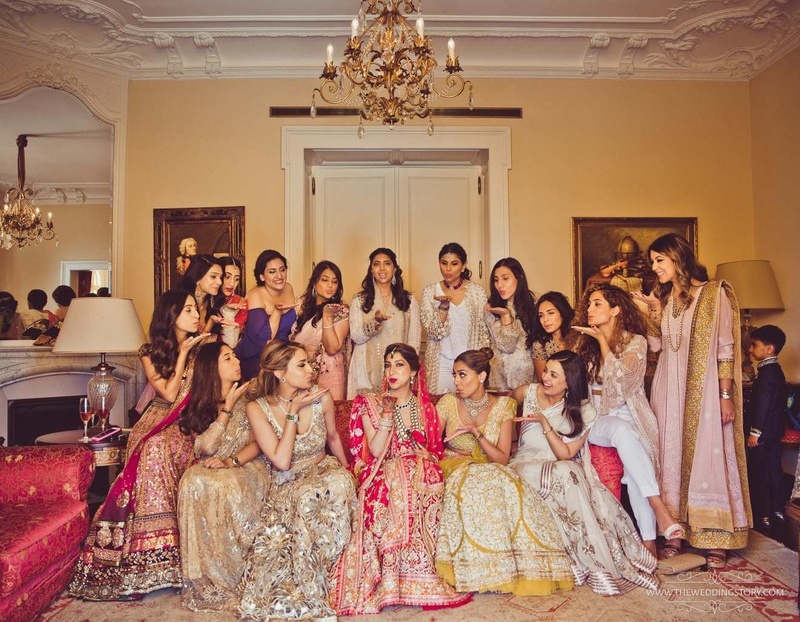 The clothes were designed by couturier Abu Jani, Sandeep Khosla, Suneet Verma and Pakistani designer Faraz Manan. 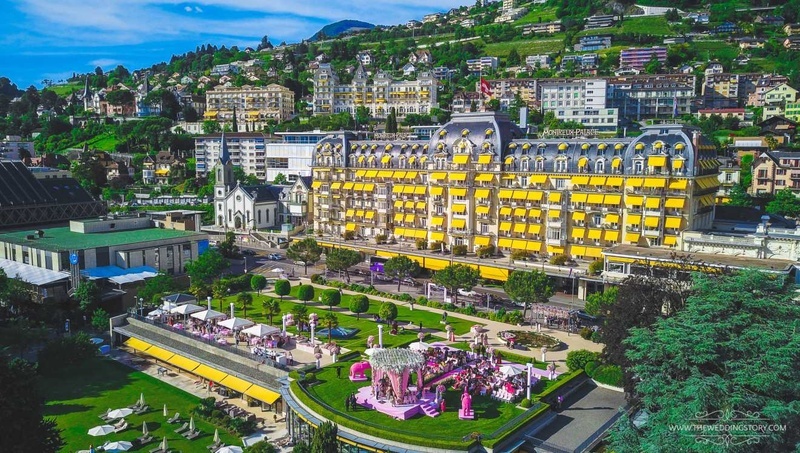 For the wedding, the outdoor space at the Fairmont Le Montreux Palace was decorated in shades of pink and white. 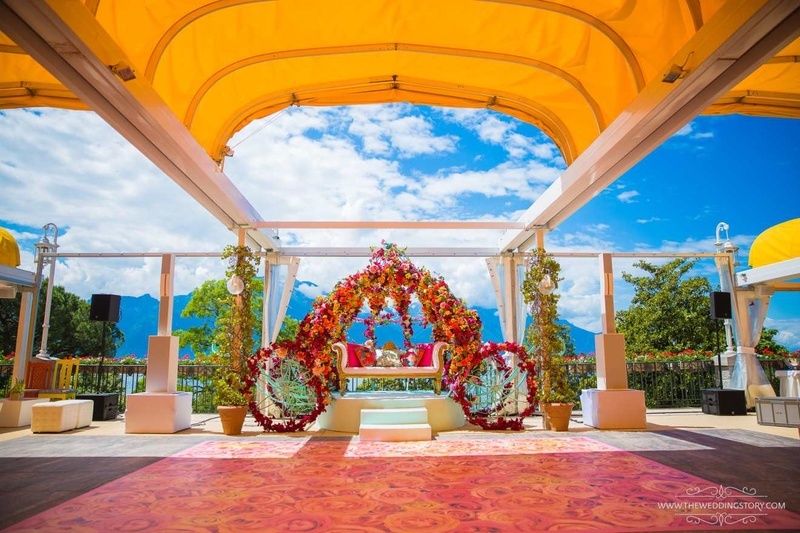 While a large mandap decorated using pink drapes and fresh flowers stood overlooking the mountains, two large elephants created using pink blooms made for the key decor elements. 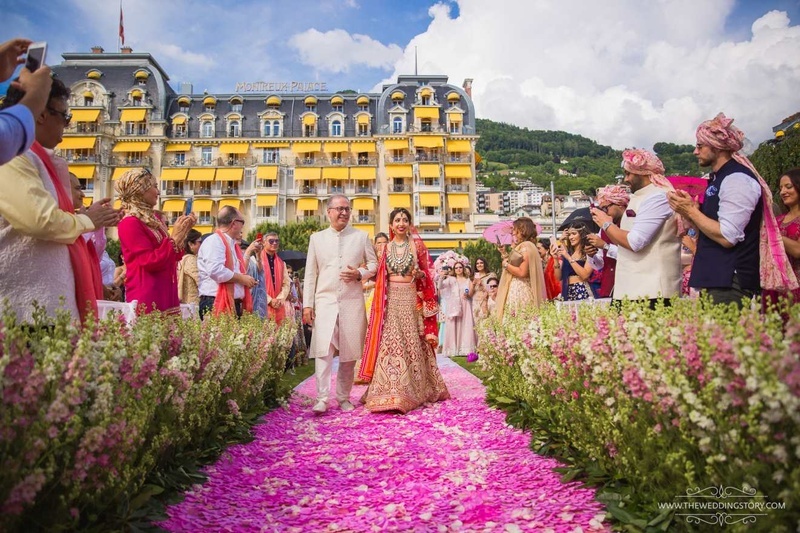 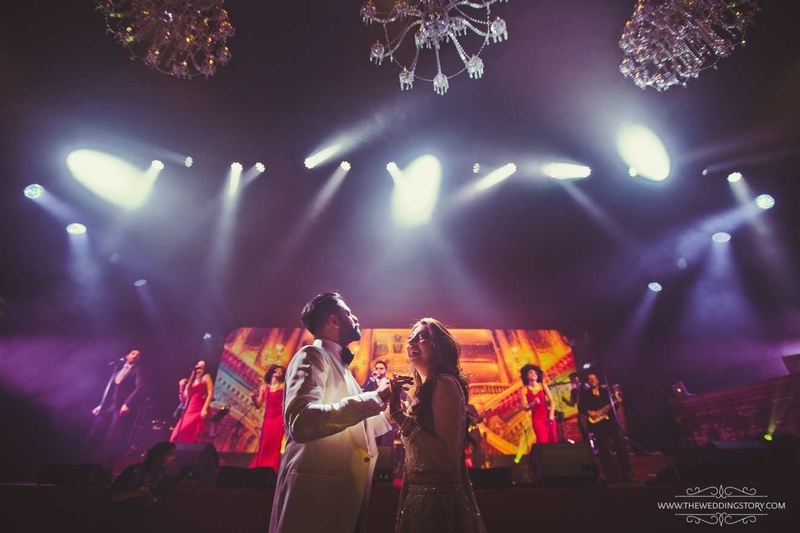 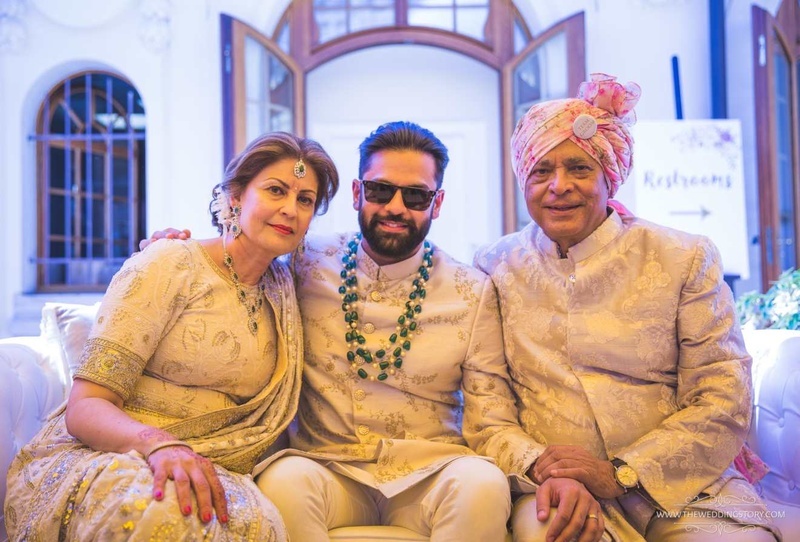 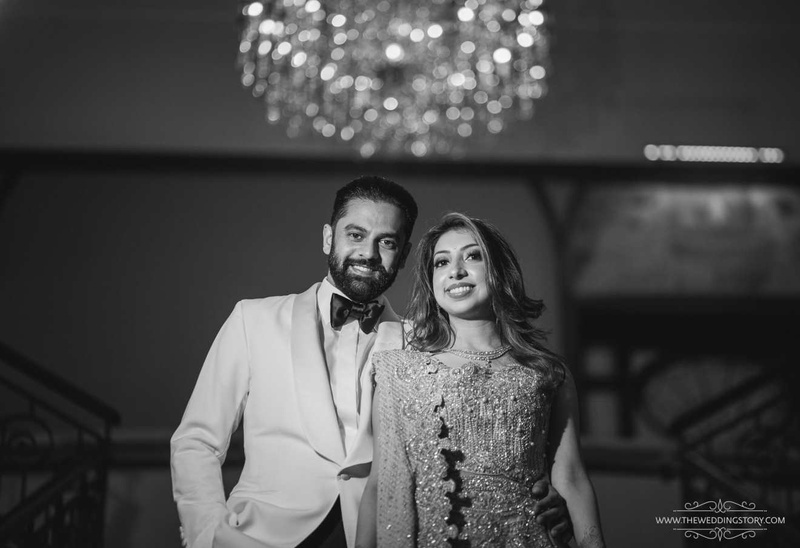 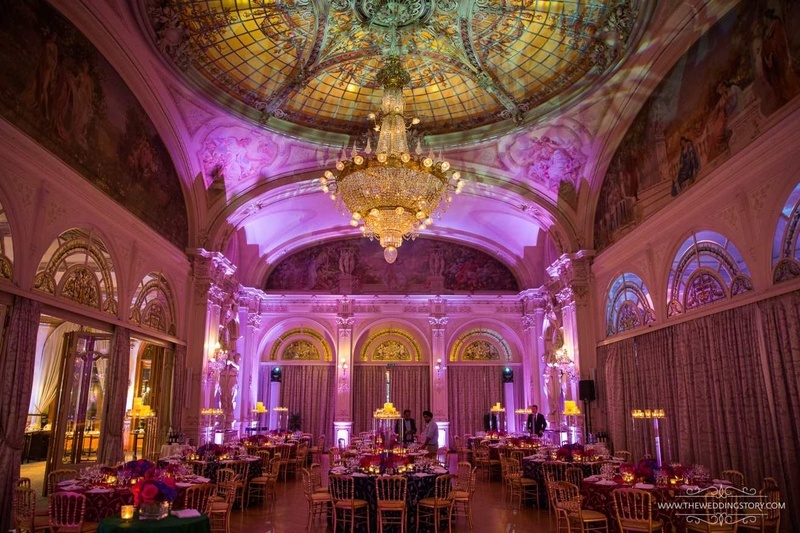 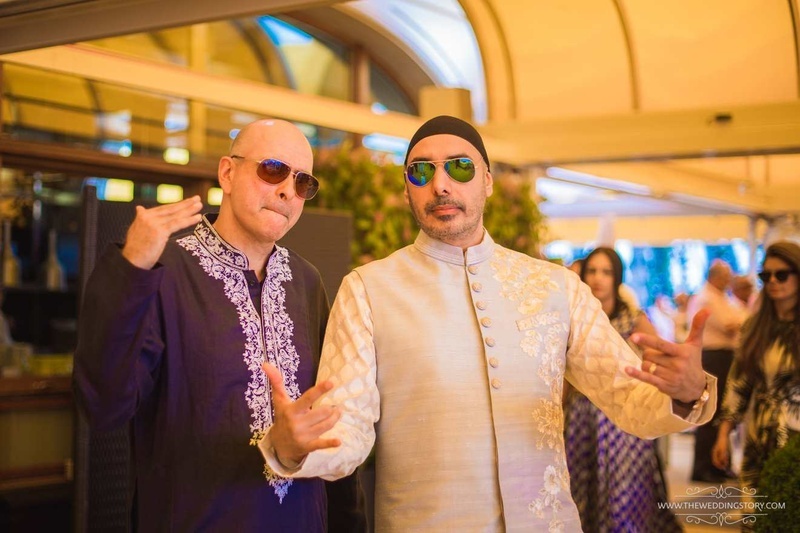 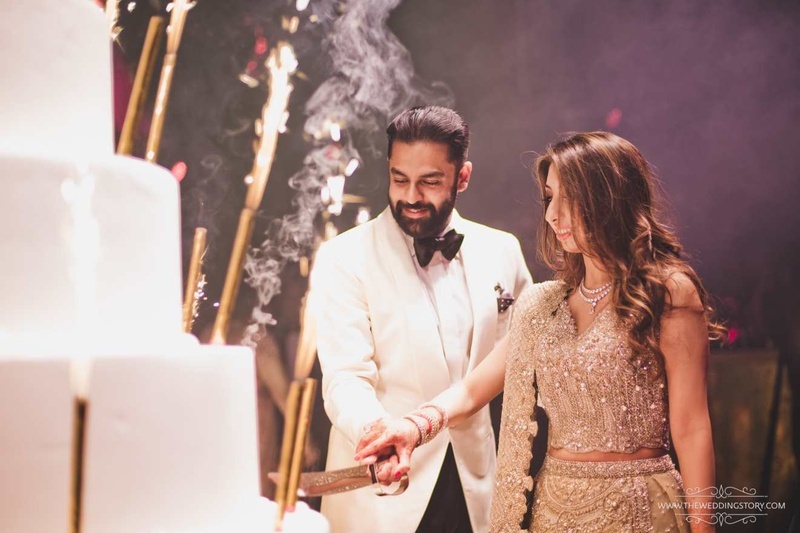 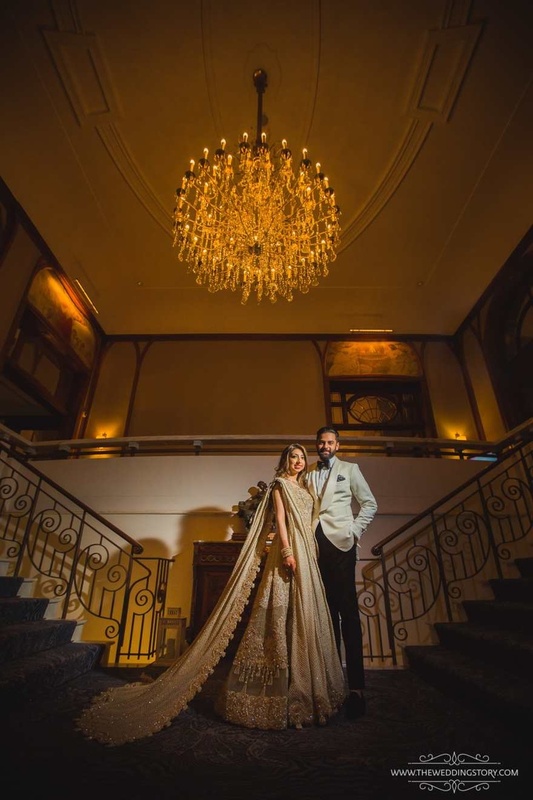 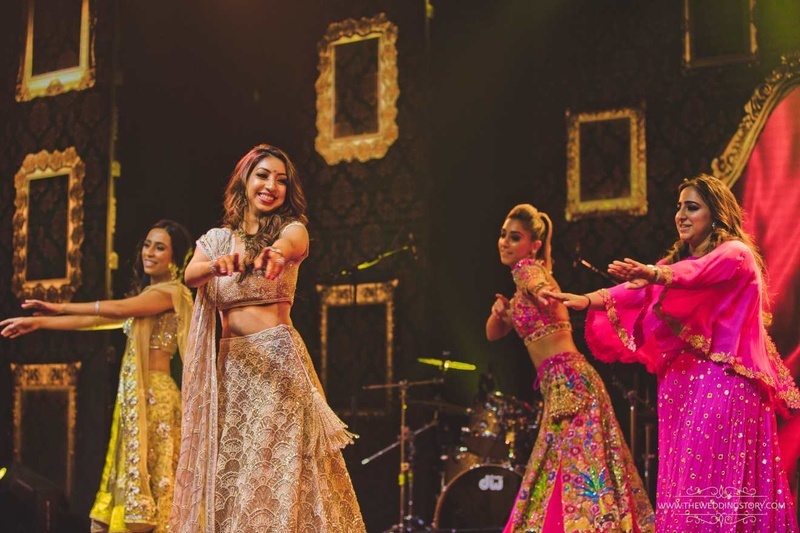 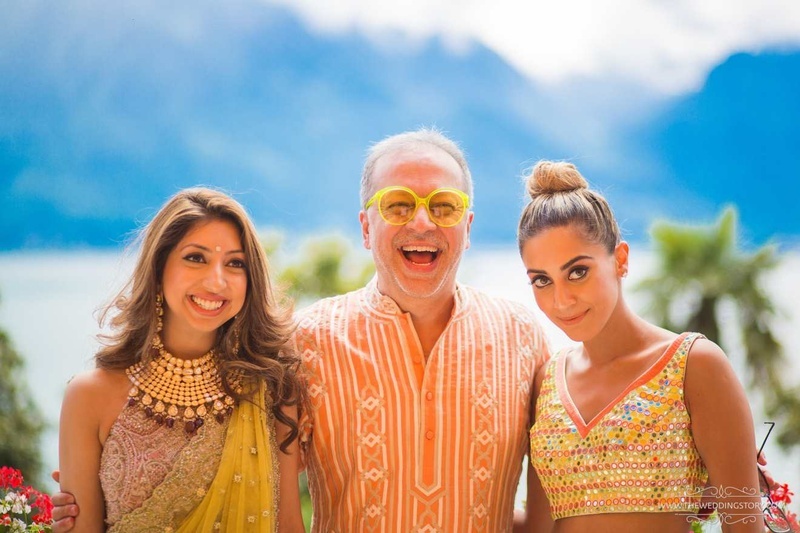 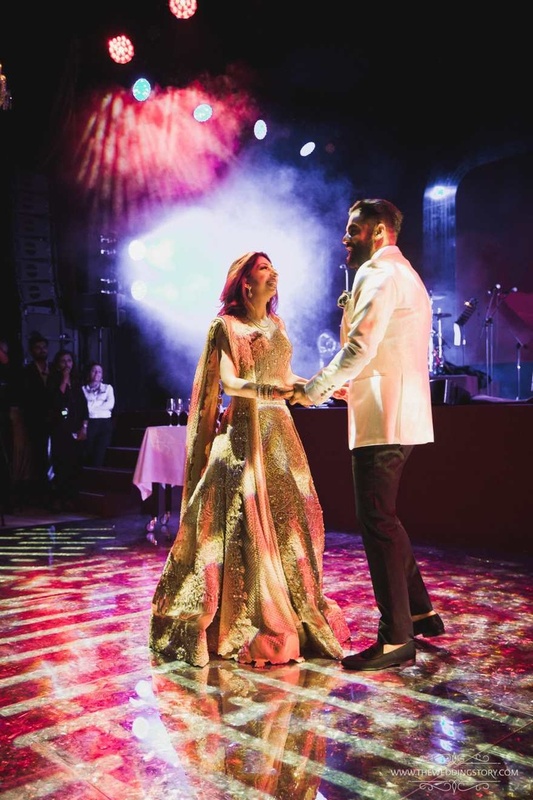 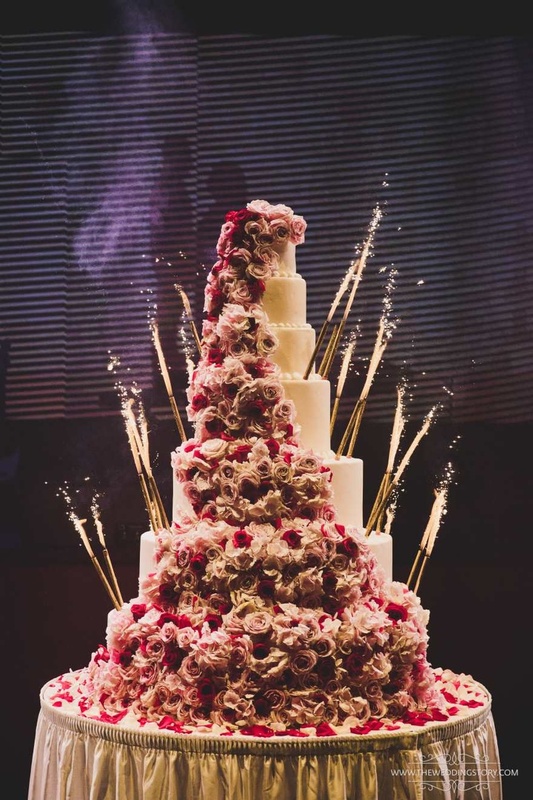 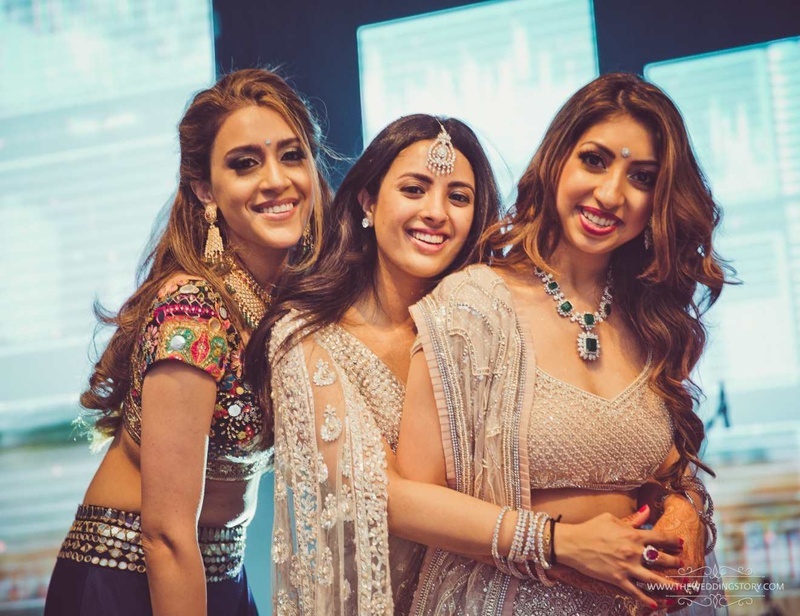 The wedding celebrations were planned by Mumbai based Percept Weddings at Fairmont Le Montreux Palace and it was designed by The Wedding Design Company. 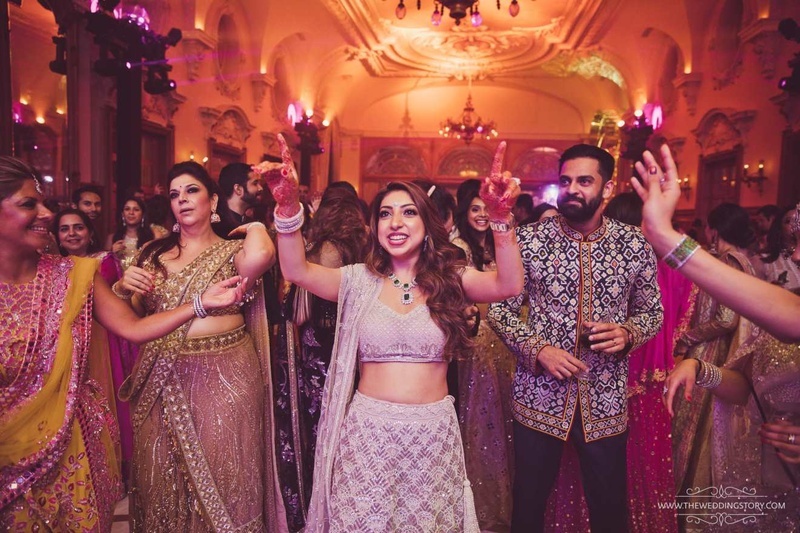 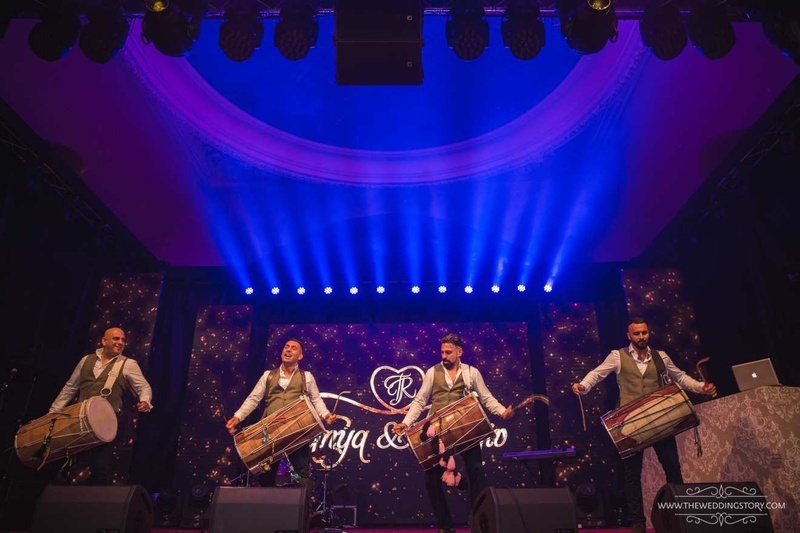 The Asian British Music rocked the Baraat and Sangeet with their dhol performances. 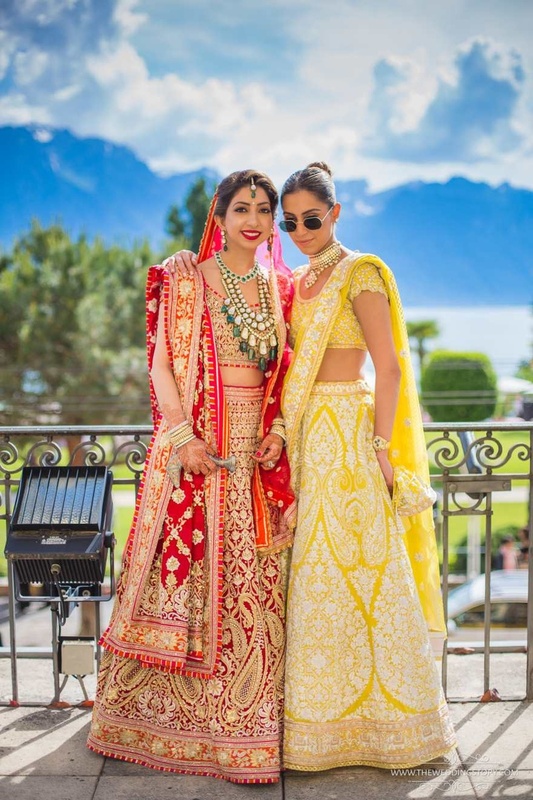 Celebrities and fashionistas were spotted in creations by Manish Malhotra, Suneet Verma and Sherina Dalamal (Cherie D). 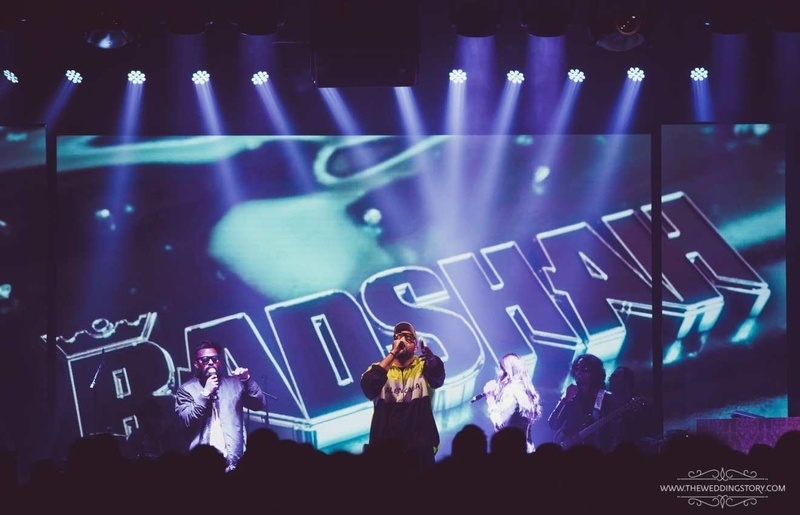 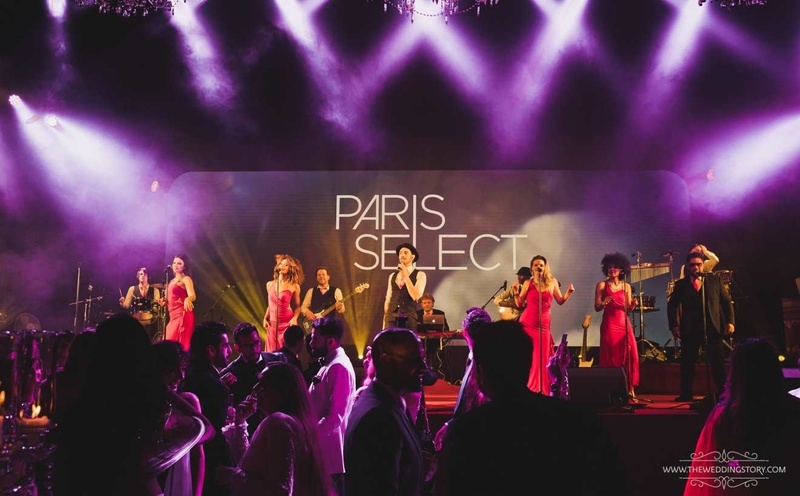 Performances by Sukhbir, Badshah, The Fellas and Paris Select added the musical zing to the celebrations. 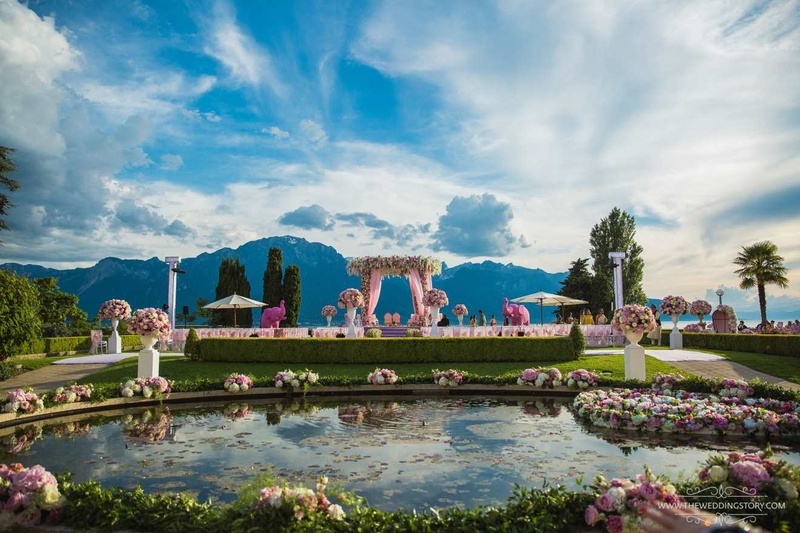 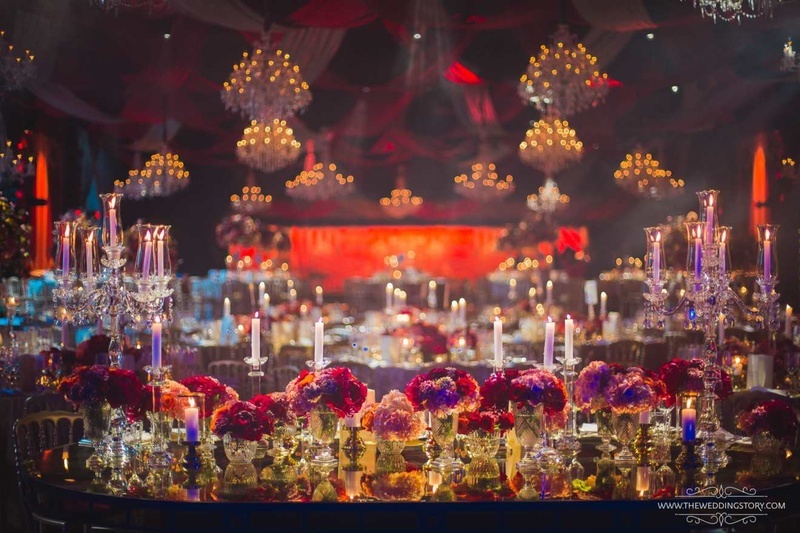 Check out the gorg wedding below!